North of the Pitch Watch parties will be held during every away game. Our dedicated pub will be decorated with all things FCC, equipped with surround sound and six flat screen TV’s, and food and drink specials to rival the best. Passion is what drives success and what better way to create this extraordinary environment than having the best of the best lead the pride; and this is where we need you! 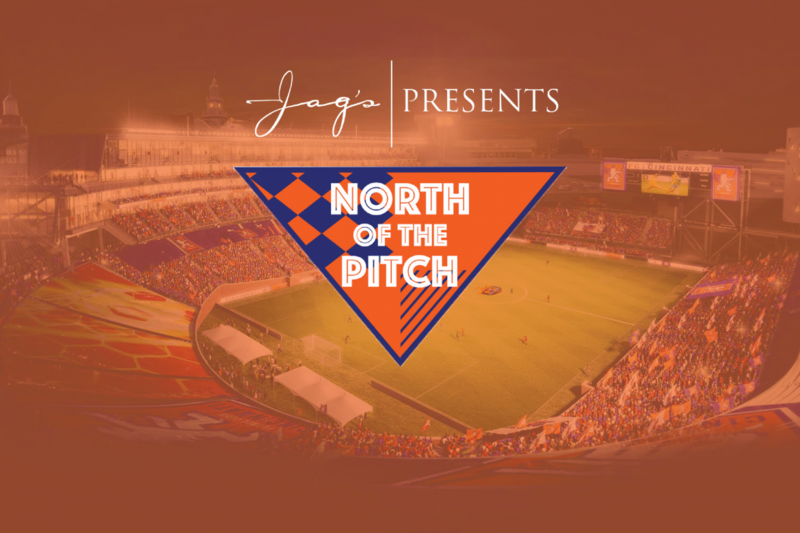 To apply to be a Jag’s FC Cincinnati Ambassador, complete this short form, including a short paragraph explaining your love for FC Cincinnati and why you think you would be a great ambassador for our North of the Pitch Watch Party. If you have any questions, contact us at JagsPresents@jags.com.